This entry was posted in Invest Money Practical Advice on Investing and tagged investment platform Portfolio Management on May 26, 2015 by MG. There is a growing trend towards index investing. 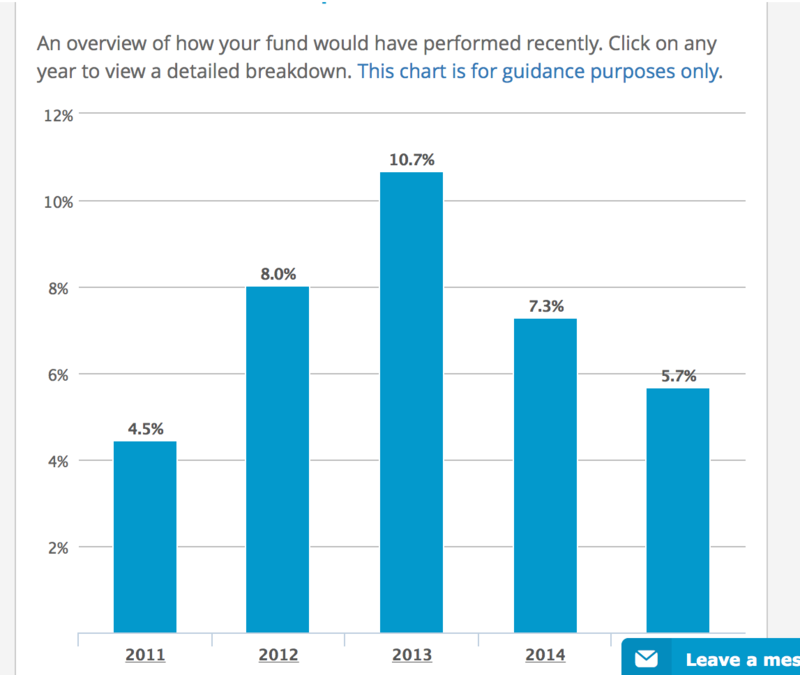 Many people are giving up on actively managed funds due to their high fees and underperformance. Index investing has proved to deliver higher returns than actively managed funds over the long term. But the problems average investors face is allocating how much weight to invest in different indexes – the problem of portfolio management. Investyourway aims to combat this problem by providing a highly tailored investment service to you at the fraction of the cost compared to wealth managers. Investyourway is the equivalent of wealth front or betterment in the US. Investyourway is a part of the new breed of robo-advisors which are shaking up the investment management industry by providing clear and transparent portfolio management at a low cost! Your account can be dominated in either British Pound, The Euro or the US Dollar. Customized portfolio by adding ‘add-ons’. Investyourway only charges a simple 1% fee on the money you have invested. No fee is charged if you just have cash in the account. All same day withdrawals over £100 are free of charge. However, for same day withdrawals under £100 there is a £15 fee. Who is Investyourway good for? 1) Financial Investors looking for an easy investing approach, the best bang for their bucks and the best time savings.This group may be intimidated by starting an investment program, and may not want to invest all their time to figure it out. This group may be young millennials skeptical of high-priced financial advice, or busy older professionals who need to get started on their retirement savings. 2) Long-term passive investors with some financial knowledge. The so called “Planners and Forgetters.” These types of investors understand how to be patient with their money. They understand the concepts behind portfolio diversification and how fees impact long-term returns. 3) Investors looking for a robo advisor but still want flexibility. Robo advisors give you the advantage of having an expertly designed portfolio at the fraction of the cost charged by high end wealth managers. But roboadvisors are normally rigid an not very flexible tour individual investment preferences like Nutmeg. However, Investyourway gives you freedom to choose ‘ad-ons’. With ad-ons, you can effectively play an ‘active role’ in your portfolio. 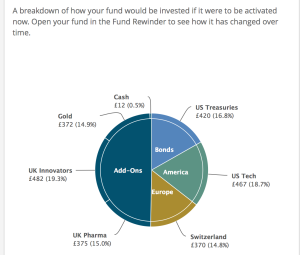 So say that you have heard of an area you are interested in, say the UK technology sector or precious metals, you have the ability to add this into your fund. Who is Investyourway not good for? 1) People who think they can beat the market, or want to trade individual stocks. As Investyourway buys into index funds, this service is not beneficial for people who think they can consistently beat the market by buying individual stocks. 1) The first step is to decide how much you would like to invest. The minimum investment is £2,500. 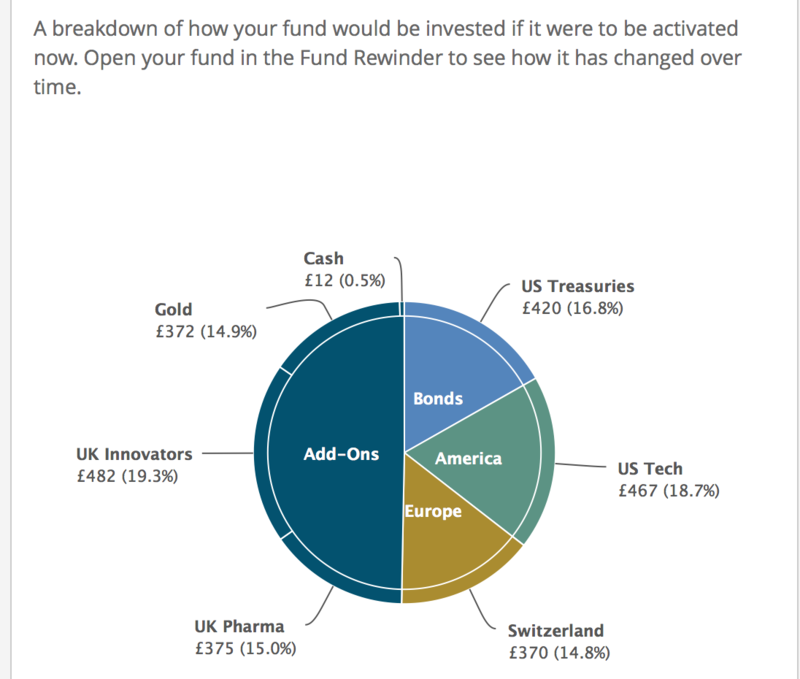 2) Next, you need to chose which region to base your fund on. The investyourway systemour will determine a selection of top-performing companies and investments for you to choose from. You can choose 2 of either America, Europe or Asia. Click on the image to get a clear version. Click on image to enlarge and get a clearer version. 3)The next step is to chose your risk level. The risk level is a very important part of the process as it will be the factor that decided what proportion of assets you will have invested in your portfolio. The general rule is that if you have a short time frame, choose low risk and as your time frame increases, you can increase your risk level in order to get higher returns. 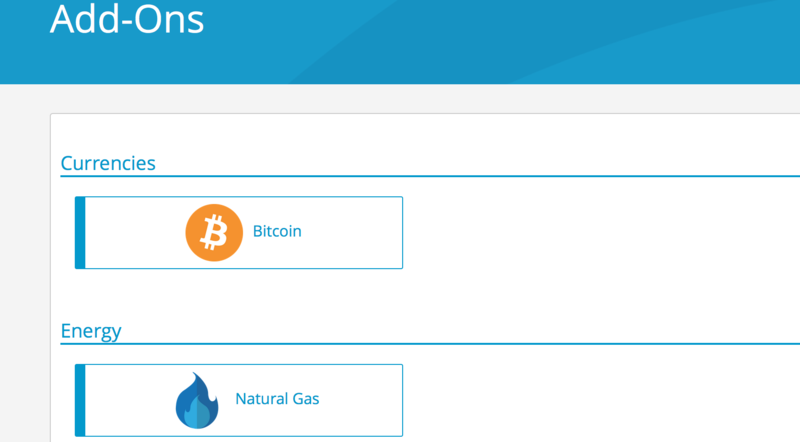 4)You can select any add ons at this stage.Add-Ons allow you to take an active role in fund-building. If you’ve heard that the tech sector or gold s going through the roof, we’ll build it into your portfolio – the choice is yours. 5) In step 5, the investyourway platform will quickly analyse your responses to the 4 preceding steps and pick out an optimal portfolio for you. This is done through analyzing historic daw to assess the ideal combination of products with the highest return for the lowest risk. Click on the image to get a clear version. A breakdown of your portfolio is given. 6) Once the fund is live, all you need to do is sit back, relax and watch your money grow. The investyourway system automatically rebalances your portfolio for you. Click on the image to get a clear version. A historical performance of your chosen fund is given. With investyourway, you can build a completely bespoke investment portfolio online in just a few minutes. Investyour way is a very good platform for people looking to invest some money but don’t have the time or lack the required knowledge. With investyourway you get a personalized service. You get the service a s high net worth individuals would get from a high end wealth manager but all for a low cost. ← The Number 1 Wealth Killer !